Men's socks are important. You can never be well-dressed in bad socks; no matter how well-cut your suit is or perfectly polished your brogues are - the details matter. The transition from trouser to shoe needs attention. It needs good socks. 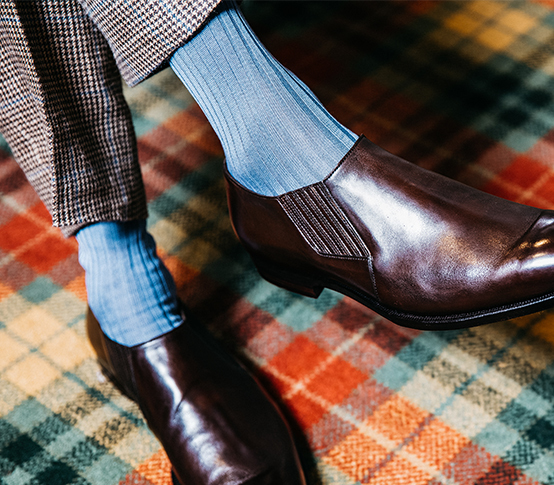 We can all appreciate how an old tweed jacket gains character with age and there are entire Instagram feeds devoted to the patina obtained on vintage shoes, I am also partial to a slightly-frayed shirt collar, but socks…I like my socks new. Please discard anything with holes, discolouration or Disney characters! There is something quite satisfying about putting on new socks; carefully removing the stitching keeping them together, the rustle of the tissue paper (incidentally, the reason there is only tissue in one sock is to distinguish between left and right). Gently pulling them over your calves before placing your feet into your shoes. It is undoubtedly psychological, but I swear my shoes fit better when I am wearing new socks. But what to choose. The first consideration is length, traditionalists and sticklers will always favour long socks, “OTC” (over the calf) or BTK (below the knee) and only wear these but “mid-calf” socks are acceptable as long as you never flash any skin below your trouser leg. Never wear short socks! The second choice is the material and natural is best. 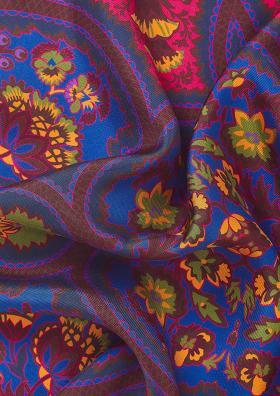 I prefer merino in the cooler months and cotton socks for Summer and formal evening dress. Either material can be blended with nylon for additional strength. Finally, you have colour and pattern. Before you can make such an important decision, you need to find a shop that can supply the real thing. Sadly, the typical High Street store totally neglects this important area and stocks multi-packs of too-short black socks in man-made fibres, until, that is, Christmas approaches when they sell “novelty” socks emblazoned with cartoon characters. Start with solids. Too many men rely on black socks and whilst there is nothing intrinsically wrong with black socks, there is usually a better choice. For conservative navy and charcoal tailoring wear blue socks or grey socks to create a better contrast with your footwear. Consider maroon socks and dark red socks for conservative business dress, it is both considered and elegant without screaming “look at me”. After dark reds, you will need bottle green, one of my favourite combinations is a green sock with tobacco suede shoes and grey flannel trousers. During the Spring months, consider pale yellow with your loafers and lightweight tailoring. If you have a patterned suit (and you should), it is considered more elegant to pick out a highlight colour rather than the main shade. For example, a grey Glen check (or Prince of Wales) with a blue overcheck should be paired with airforce blue socks rather than grey. 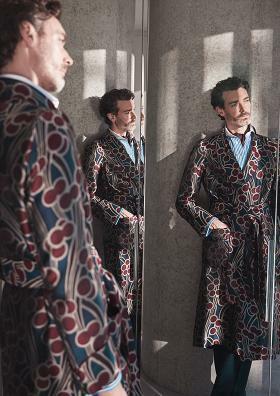 It can be fun to match your socks to your jacket, shirt or tie. This shouldn’t be done in blocks. 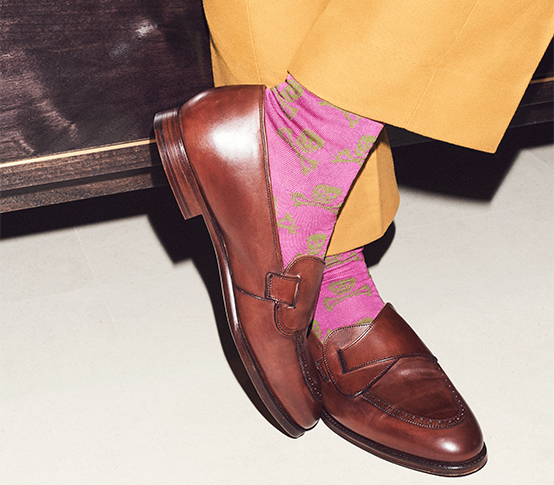 We are not advocating wearing pink socks to match your pink shirt but if you are wearing, for example, a dark blue tie with green spots, consider racing green socks. 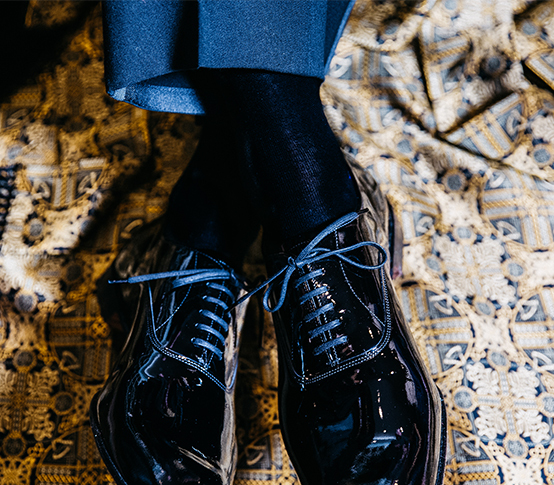 For black and white tie, black is safe but crocus socks or maroon are inspired choices, particularly if you are wearing velvet Albert slippers. Once you have mastered plains, you will move onto the patterned socks. 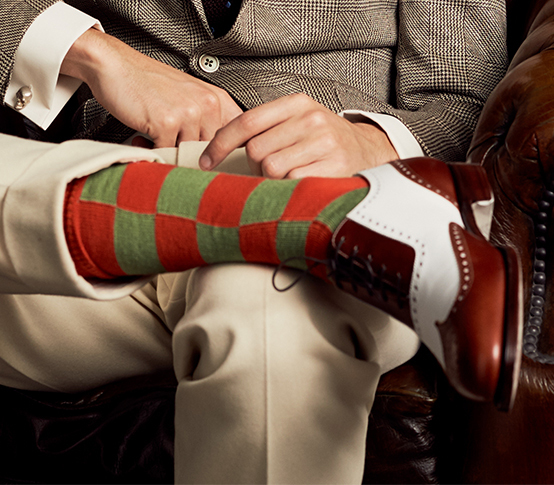 Argyles, stripes and spots are useful patterns that can give your weekend wardrobe a lift. 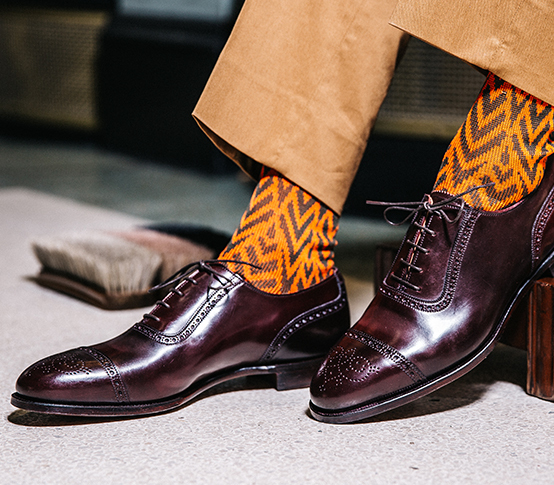 Wear with bold coloured cords and chinos, picking out the main trouser colour with a secondary sock colour. 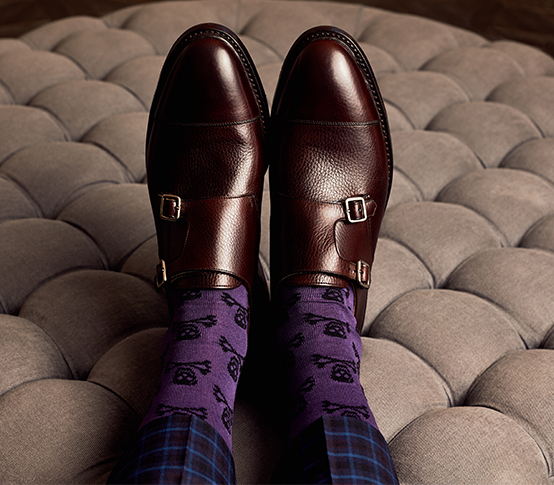 The iconic skull & crossbones socks design adds a rakish edge to any outfit, from jeans to morning dress. It is based on a design dating back to 1865 when, as outfitters to Eton College, they created a similar design for Villiers House. 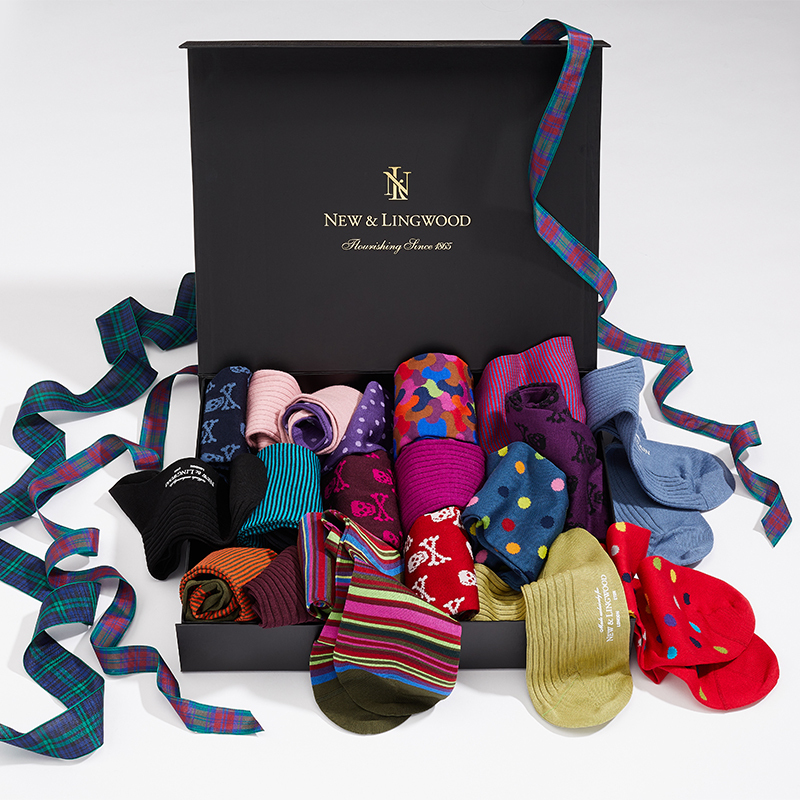 The Eton connection is still strong and New & Lingwood stock an impressive 144 unique styles for various houses and sports teams. 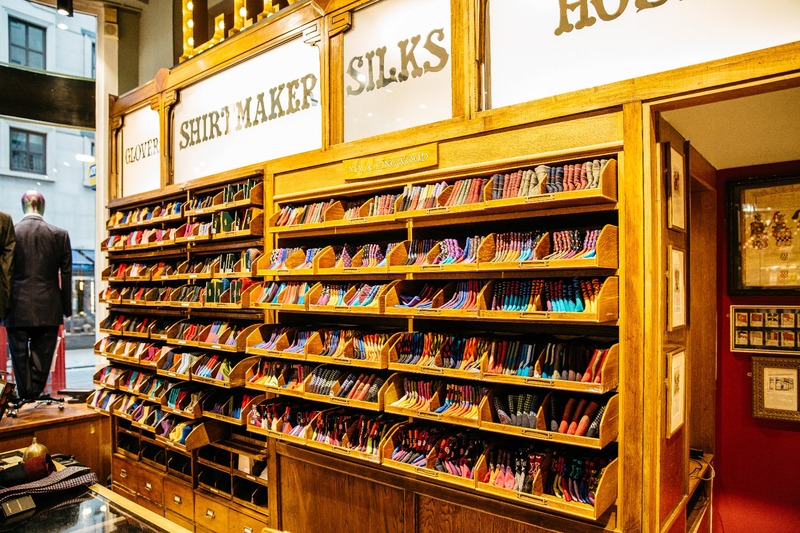 A trip to the Eton store is a must for any sock aficionado and although they are honour-bound to only sell to those who are entitled to wear them, it is only a venial sin to impersonate an Old Etonian quidditch captain!